He is the inimitable, true political ugliness, the bad boy with a mistimed punch. While not quite professorial in his lunacy (that honour will have to go to Pauline Hanson of One Nation, whose sincere bigotry remains pungent), he aspires to it with a greater sense of reason. This Exocet missile of Australian politics continues to direct his power and magic into the vessels of the Turnbull government, hoping that his relevance will resume form. His victories, gained from the right wing of the Liberal-National coalition, have been significant, effectively trimming the efforts of the government. In this calculus of death, Abbott’s point is distorting. True, cold is a natural killer of the infirm and elderly, and generally, more effective on current figures. But then again, excessive heat is set to catch up in its reaping potency. Abbott, in the true spirit of a climate insurgent, adopts a two pronged approach. Even if climate change was happening (which it’s not, being the science of “absolute crap” in his charming terms), it could hardly be a bad thing even if it was. Having looked at photographs of Manly beach over a century, he saw no signs of rising sea levels. (Such a scientifically inquiring mind!) But surely, a heated earth was far better than a frozen one? 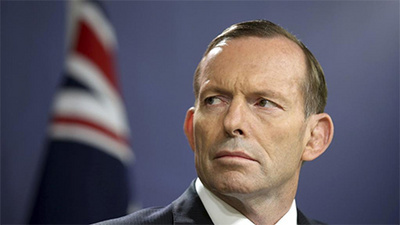 The coalition government’s response back in Australia was that Abbott had become a mind changer. If they were consulting the politician who greeted world leaders at the G20 summit in Brisbane in 2014, this was certainly the case. Then, as prime minister, Abbott felt duty bound to make the case that there was such a grave thing as climate change. Climate change scepticism was tantamount to Holocaust denial, and Abbott was playing along, so much so he endorsed the Paris Climate Agreement. But before his audience in Westminster, he suggested that he had always had doubts. During the Turnbull tenure, Abbott has become the spear thrower for the climate change deniers, manoeuvring himself into territory that embraces both unalloyed radicals and resident nutters. There is much to admire about this suicidal tendency, which is purely political rather than scientific or environmental. It is the pursuit of self-interest and national interest, a view that suspects, combats and dismisses. Few Australian politicians could ever do it and get away with it. In an effort to douse the flames of doubt now engulfing the ministry, Bishop insisted that “the important thing is the government’s position and under Prime Minister [Malcolm] Turnbull we are working hard to come up with a plan that delivers affordable and reliable energy that will meet with our international obligations.” A plan, in short, that did everything. Prime Minister Turnbull had hoped that the Finkel Report would fireproof him against the next Abbott surge and finally put the climate change voodoo to bed. But the Abbott war against Turnbull is taking place in several theatres, all of which have shown Turnbull to be a modern Maginot line. On climate, Turnbull’s embrace of the Finkel recommendations, largely because of sceptics within his own party, remain limited, centred on the idea of a Clean Energy Target Abbot regards with satanic scorn. Abandoning it will be Abbott’s prize, and a sign of a government gazing further over the precipice of electoral annihilation.